When you partner with Granite, you enjoy earning long-term competitive commission. Granite Channels strives to save customers money, guarantees your income and responds immediately to client and partner needs. What are your core businesses? What services do you focus on? *How did you hear of Granite Channels? Granite provides voice, data and other related communications products and services to multi-location businesses and governmental agencies throughout the United States and Canada. 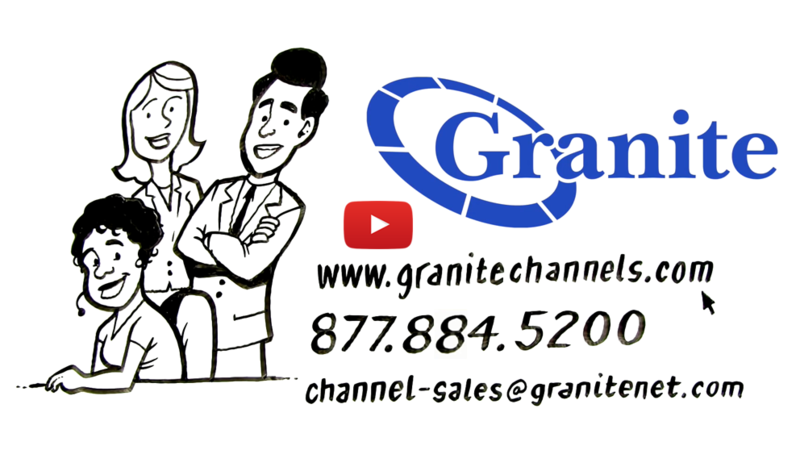 Granite furnishes services to more than two-thirds of the Fortune 100 companies in the United States, and 1.75 million voice and data lines under management. © Copyright 2019 Granite Telecommunications, LLC. All rights reserved.